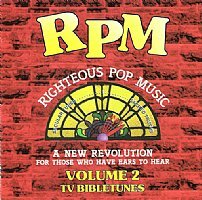 The "Righteous Pop Music" CDs are all created by Mark Bradford, parody songwriter. They feature Christian lyrics written to the tunes of the past. This album parodies the music from a collection of television theme songs to tell Bible stories.